we have worked on container transportation since 2012,after joining the Shenzhen container trailer association and to be a member for it. 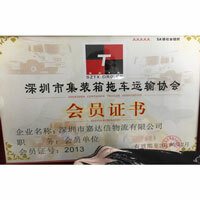 about 50 truck are served for the customers shipment every day , which can ensure the transportation smoothly. 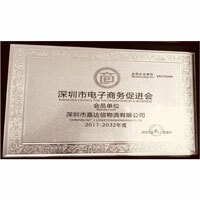 we become a member of SECA in 2017,we extensive our service for FBA logistics and so on , Take the high quality service as the foundation, take the conformity resources as the method in order to promote the development of electronic commerce business , now we are serving some the seller of Amazon and keep a good cooperative relations. 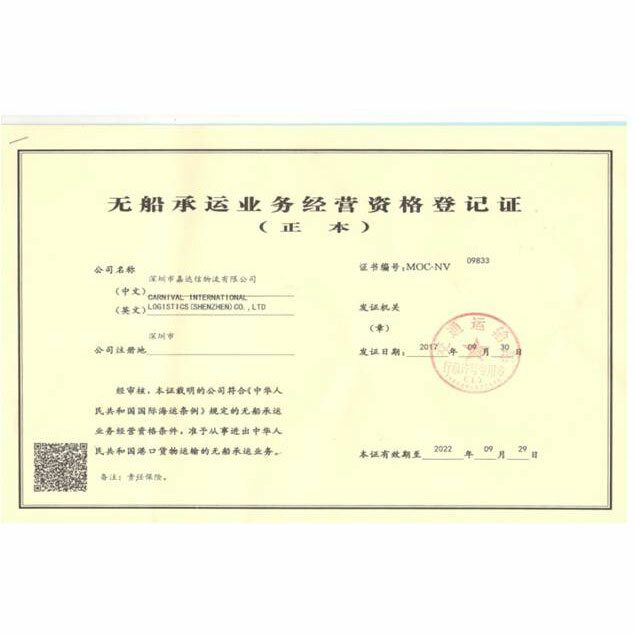 In 2018,we accessed to the NVOCC through our effect , so we can sign the agreement with the shipping company directly and cooperate with other forwarder . we can enhance the market competitiveness of enterprise and corporate image. 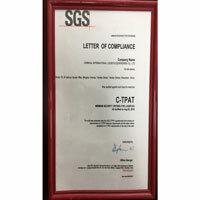 It's of great importance for us to be member of customs-trade partner against terrorism(C-TPAT) after we passed the examination ,because we can simplify operation and expedite cargo disposal when the shipment export to America or transit through it.